In the winter, the Red Tree Lodge is lucky to host the Nonstop Adventure programs here in Fernie. Clients come to Fernie to get top-notch ski and snowboard instruction, but they can’t be on the hill all the time! What else is a group of visitors to Fernie going to do to keep busy? 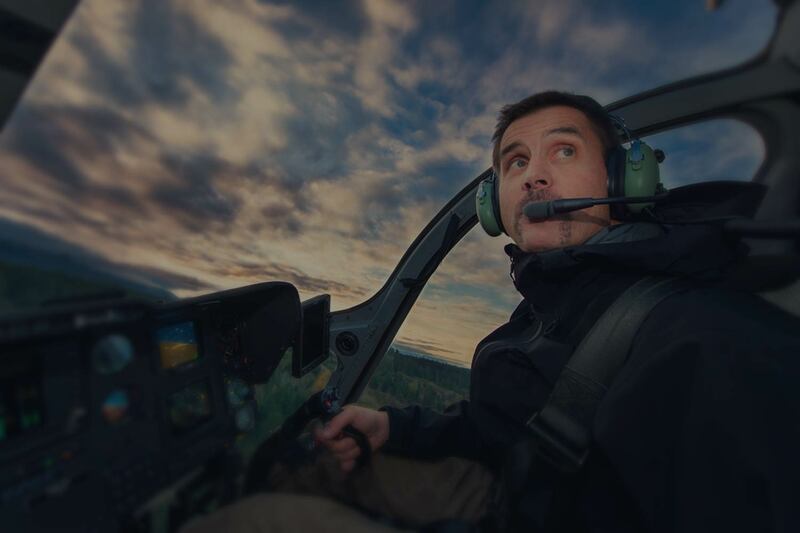 One of the many extra activities that Nonstop offers is a helicopter sightseeing tour of the area. Along with Casey and Nadine from my team, I was lucky enough to join in on a recent tour this past weekend. 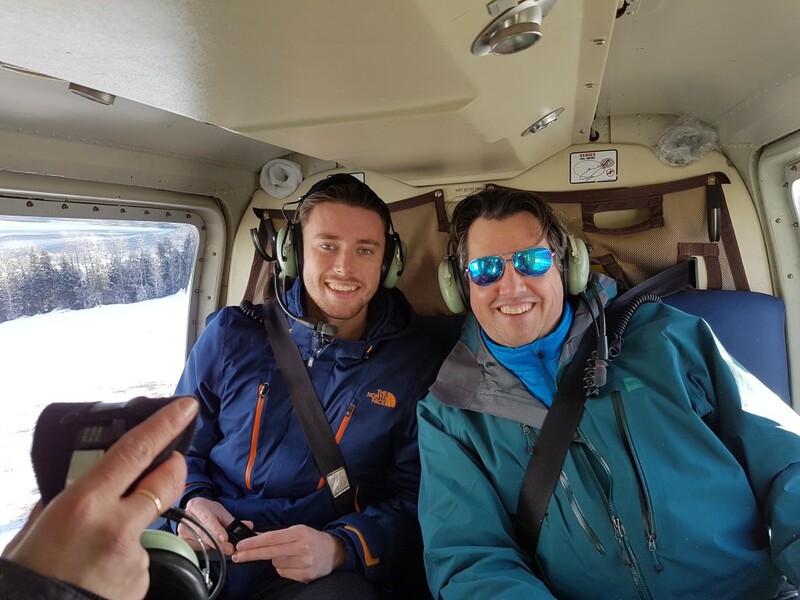 We headed over to the Ascent Helicopters helipad in the Nonstop shuttle from the Lodge. The helipad is located over on Burma road, at the foot of some of Fernie’s best mountain bike trails. 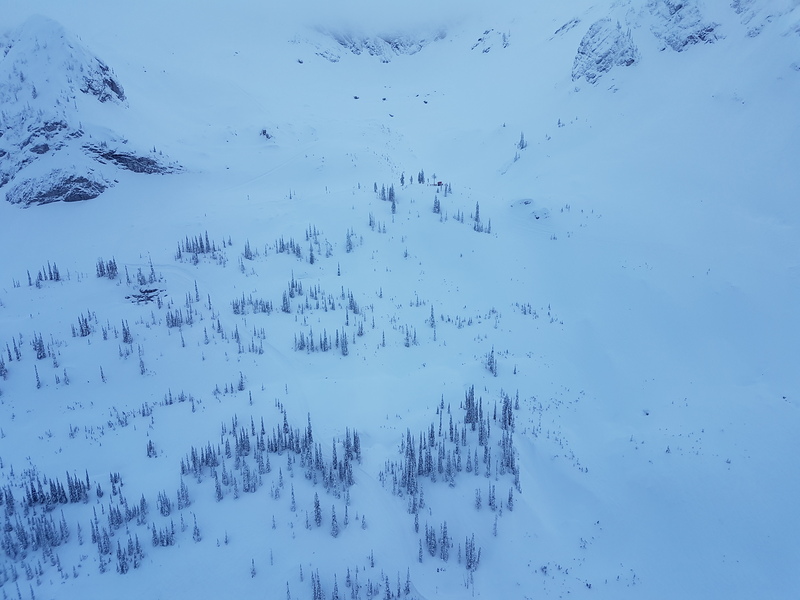 Ascent provides a wide range of helicopter services in Fernie: beside the Elk Valley Scenic Tour, they also offer movie and TV support for filming, medevac and first aid services, industrial hoisting, avalanche control for Fernie Alpine Resort, Island Lake Lodge, and local mining operations, and of course, heli-skiing operations. Along the way, Casey told us about how he used to live next door to their helipad. He would often get woken up by the early morning avalanche control flights. He explained that he had been promised a ride in one of their fleet as a result. Finally get a chance to take that flight! 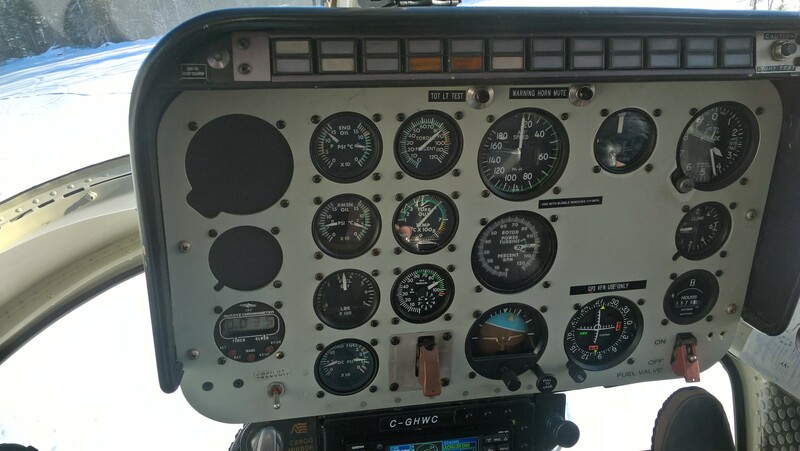 We met our pilot Greg and learned a little bit about helicopter safety (which fortunately we didn’t have to put into practice). The Bell Longranger we rode in had room for six, but with only four passengers, we had some room to stretch out. This was especially true as Greg explained that one of us could ride in the cockpit with him! Casey won the quick round of evens & odds and hopped up front while Nadine, Will from Nonstop, and I rode in the back. Jon finally gets a legit reason to wear his aviators! Casey, Will, and I had never ridden in a helicopter before, but it was Nadine’s second time. She was still super stoked to head up though! I always thought that helicopters would be a rougher ride (from watching too many movies, I think). 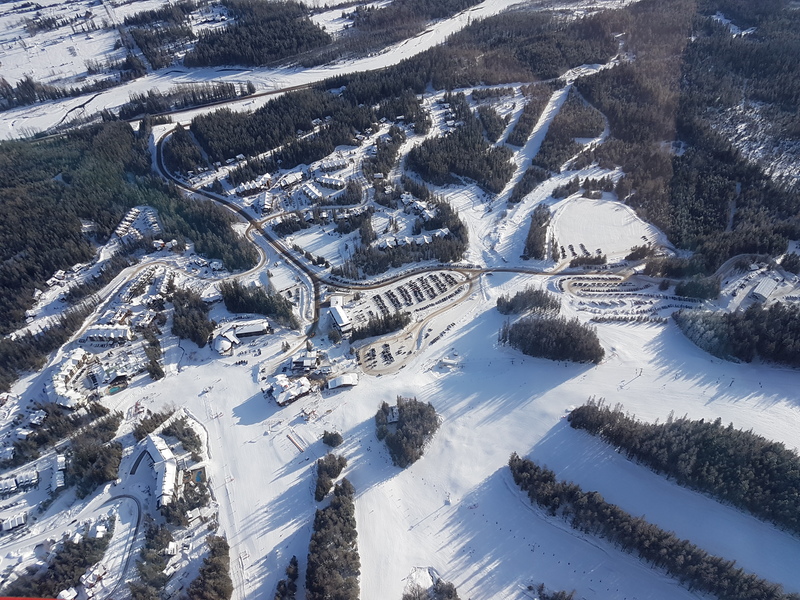 I was surprised as instead we lifted smoothly up and headed over the ski resort to look down on the runs. 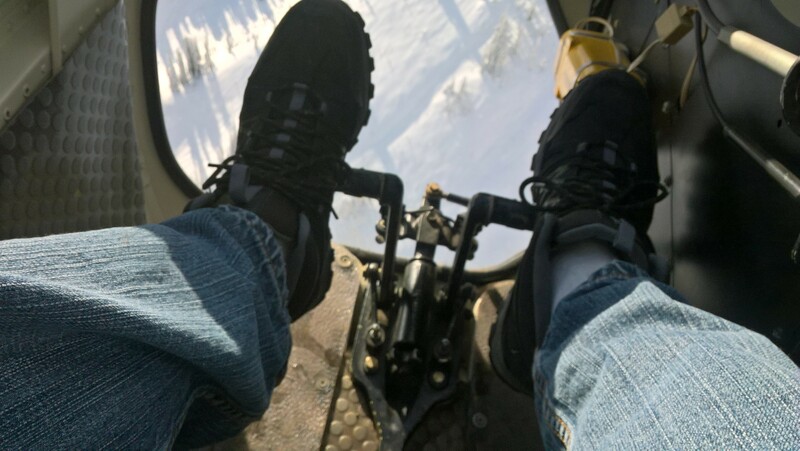 My son was skiing with his group that morning and insists he saw me looking down as we were hovering over him – he described the chopper accurately, so maybe he really did. We passed over the resort and headed over Polaris Bowl and Easy Way towards Island Lake Lodge. There was a bit of cloud cover in this part of the tour, but as we approached the cat skiing area, visibility improved and all of sudden the snowcats were visible from the air. I was amazed as one headed downhill –for such big machines, they can really move! There were a couple of different groups on the terrain just waiting for the go-ahead to start down the slopes. As happy as I was to be on a helicopter sightseeing tour, I must confess I did get a momentary pang of jealousy as I scoped out the untouched snow below them. Next blog? PLEASE?? Look carefully and you’ll see the Island Lake Lodge catski clients waiting above the trees for a epic glade run. 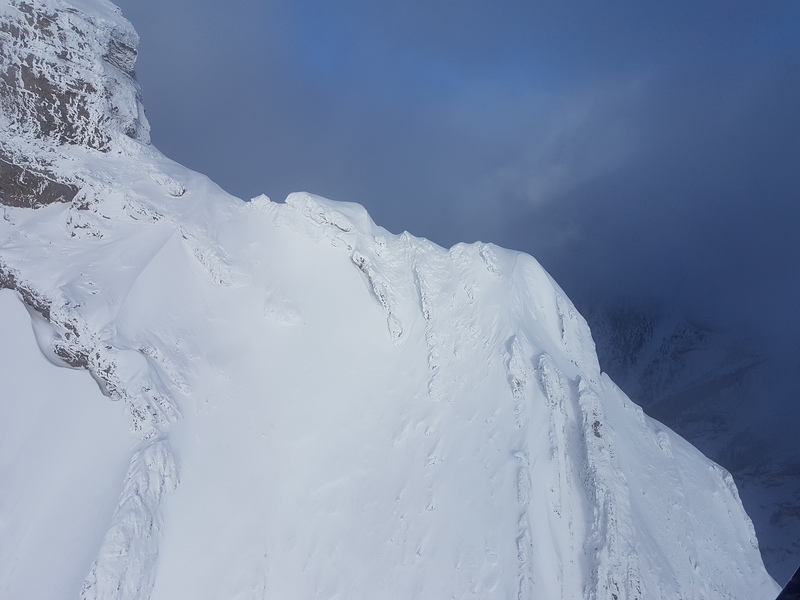 Can you imagine the drop off the back of this ridge? It’s WAY BIGGER than you think! Below the peaks on our helitour. It seemed far too soon when we headed back to the helipad. Casey and Nadine discussed going back up on a tour again this summer. Greg explained that the summer sightseeing tours were similar, with a few differences. Obviously they’re far more green with less snow, but the chances of seeing wildlife in the summer is much higher. We did see some mountain goats (and lots of tracks) but in the summer, the bears are out of hibernation and are often spotted from the air. There’s also springtime snow-melt waterfalls off Mount Bisaro to check out. If the visibility is just right you can see Lake Koocanusa in the summer as well. After landing, we took a few minutes to take some pictures again before thanking Greg and bringing Will and the other Nonstoppers back to their accommodations at the Lodge. It was a pretty cool experience and I am glad to have had the chance to take part. 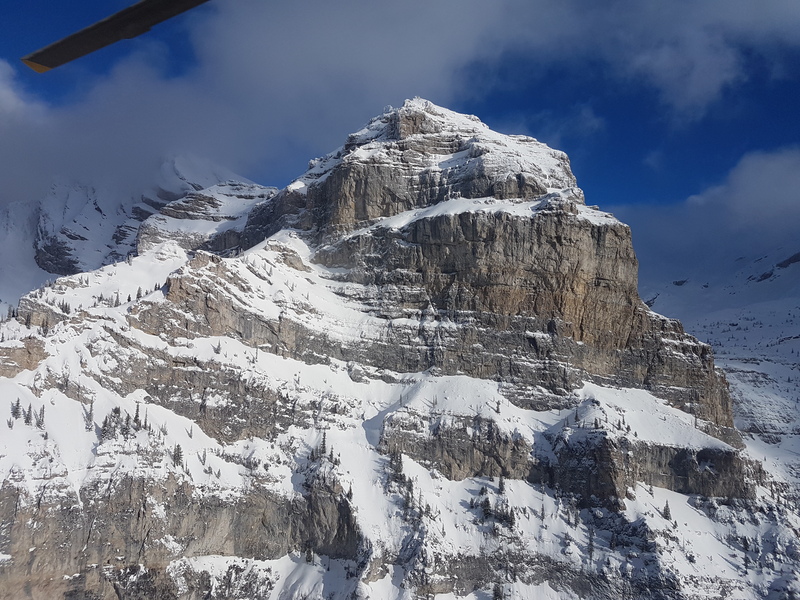 Thanks to Nonstop and Ascent for taking us up and helping me scratch “Take a helicopter sightseeing tour of Fernie” off my bucket list! The Red Tree Lodge is proud to have won the TripAdvisor Certificate of Excellence every year since 2012. See what our guests have said about their trips to Fernie in our reviews on TripAdvisor or on our Testimonials page. Combine our great hotel accommodations with any number of exciting Fernie adventures, winter ski and stay packages, or family activities for your perfect getaway. Sign up for our newsletter and be among the first to know about the great deals we offer on Fernie Lodging. We send it out about about once a month with all the latest news on our Fernie hotel specials.